Gain access to thousands of tools for less than $4 a month! 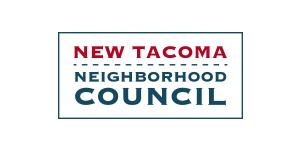 Tacoma Tool Library is a non-profit community project that is worthy of your support. We are always looking for volunteers to help around the shop. Please contact us if you are interested in getting involved. A tool library is just like a normal library, but with tools instead of books. We lend household, yard, and specialty tools to our members with the goal of promoting reuse, access, and shared knowledge. Tacoma Tool Library operates on a membership basis. Members are asked to give a suggested yearly donation of $40/year, which gives them access to the Library's tool bank and workshops. 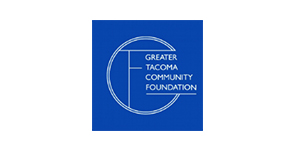 In addition to lending tools, the Tacoma Tool Library hosts workshops and events at our shop and at partner locations. We are always looking for new ideas of workshops to offer, and would love to hear from you! Browse through our online inventory for an idea of what tools we offer at Tacoma Tool Library. Don't see the tool you need? Contact us and we'll put it on the wishlist. We are constantly building our inventory. Tacoma Tool Library lowers the barriers to tackling projects by providing tools, knowledge, space and support so that people can improve their lives. We believe this will lead to better looking neighborhoods, increased community involvement, a stronger sharing economy, reduced consumption, more entrepreneurship and individuals that are empowered. Tacoma Tool Library is fiscally sponsored by Zero Waste Washington. To communicate our deep gratitude for our volunteers, we are beginning a new practice of highlighting each volunteer individually from month to month. This month’s spotlight shines brightly on one of our longest standing volunteers, Jessica Clark (2 years+!). Check out this awesome story from a TTL member about several home improvement projects completed using tools from our library! TTL is turning 1! Join us at our new home in the Lincoln District for a tour, then head down the street to Jubilee Burgers for dinner! Please join us for our Grand Opening Party Saturday, May 14, 7-10pm at the tool library! The Tacoma Tool Library is delighted to announce our first two workshops. We are also planning a summer series of free workshops and drop-in nights at the library.